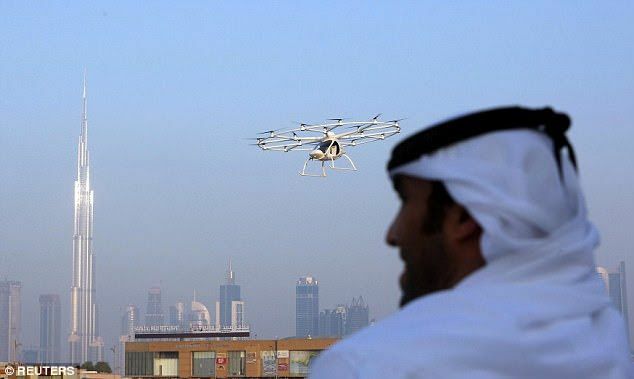 Dubai has showcased a flight for what it said would soon be the world’s first drone taxi service under an ambitious plan by the United Arab Emirates city to lead the Arab world in innovation. 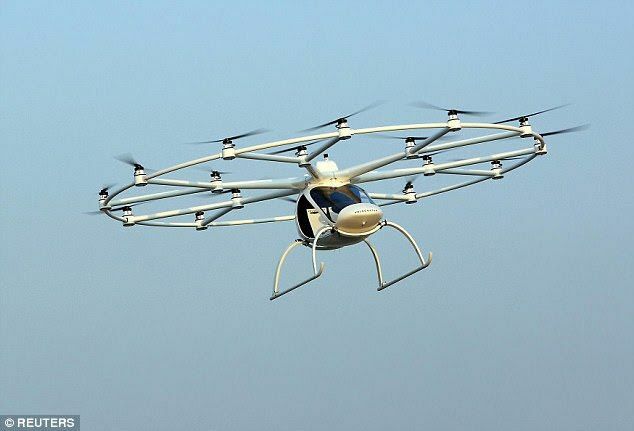 Meant to run without remote control guidance and with a maximum flight duration of 30 minutes, it comes with plenty of fail-safes in case of trouble. These include back-up batteries, rotors and, for a worst case scenario, a couple of parachutes. 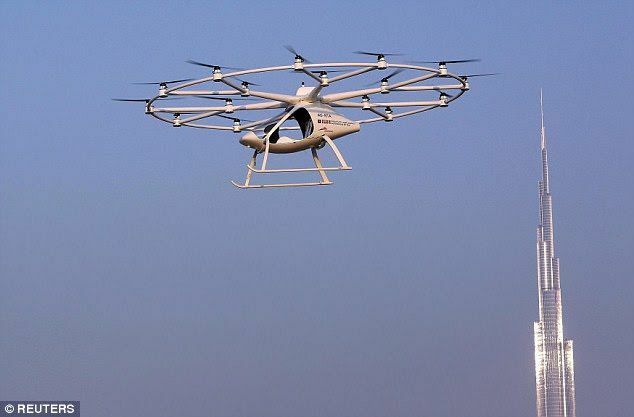 Volocopter is in a race with more than a dozen well-funded European and US firms, each with its own science fiction-inspired vision for creating a new form of urban transport that is a cross between a driverless electric car and a short-hop, vertical takeoff-and-landing aircraft. 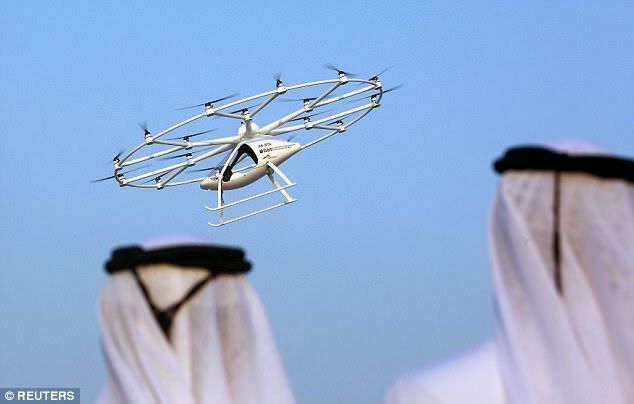 ‘We only go public when we can show something that flies,’ Alexander Zosel, Volocopter’s co-founder and chief innovation officer, said in an interview ahead of the Dubai trial. 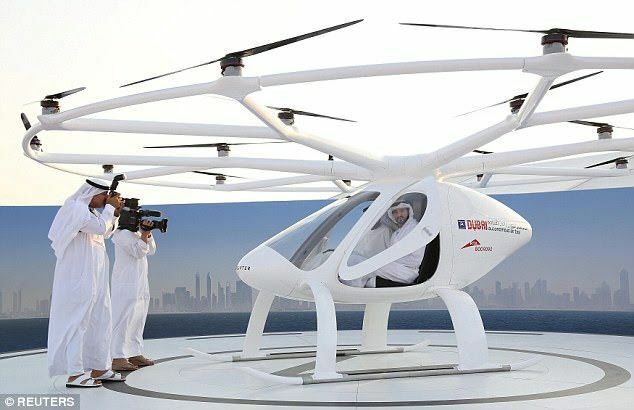 ‘Encouraging innovation and adopting the latest technologies contributes not only to the country’s development but also builds bridges into the future,’ Sheikh Hamdan said in a statement. It is unclear when the firm will begin taking customers in the unmanned taxis.